Our Pinot Noir is made exclusively from our Rahona Valley Block using five clones - MV6, 115, G5V15, D2V5, D5V12. Pinot Noir is the holy grail of grape varieties. It must be grown in the right place and be given much love to get fully ripe but do so slowly. 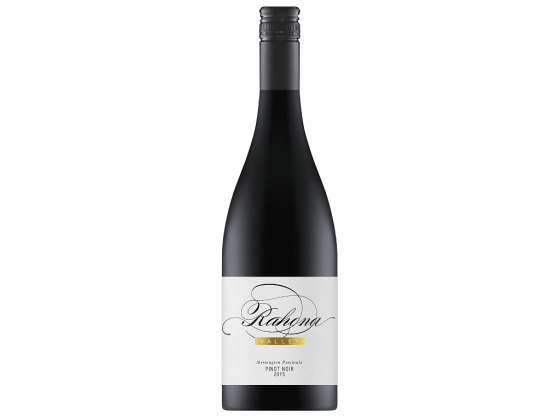 Rahona Valley is a late ripening vineyard in a late ripening region, so this attention is doubly important. This wine illustrates the rewards of such effort. The wine is beautifully perfumed, like smelling a bowl of strawberries and fruits of the forest in a rose garden. The palate is graceful, elegant, and spicy with effortless length and silky smooth texture. This wine could go with a range of foods but all omnivores must try it with roast duck at some stage.